Pitch White Entertainment is all about creating good, clean entertainment that all ages can enjoy. Our mission is to be a voice for good, to provide quality entertainment that you will never have to turn off or walk out of because of inappropriate content. We believe it is both possible and the right thing to do to be clean and extremely entertaining. 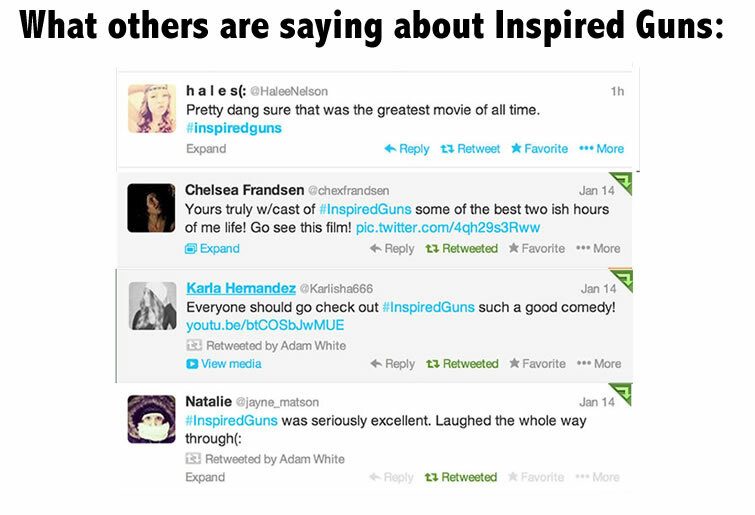 Check out our latest feature film “Inspired Guns”. The last thing Elder Fisher expects when he and his brand new companion, Elder Johnson, hit the streets of New York is a couple of seemingly golden prospects. 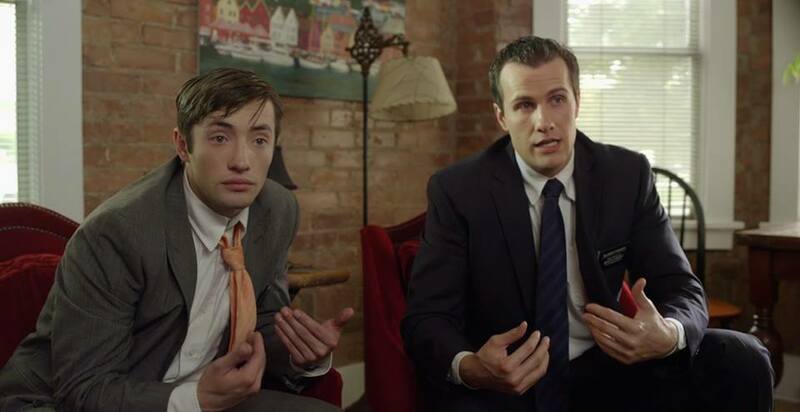 But dimwitted brothers Roger and Larry, low-level Mafioso, think the two Mormon missionaries who approach them have been sent by the “Boss” to deliver their next assignment. So the brothers are willing to listen to anything the young men in dark suits have to say—including a message of salvation—even if Elder Johnson is the most overconfident and underprepared missionary to ever attempt to preach the word of God. Soon the witless brothers are searching through the Book of Mormon in a quest to find a hidden message. 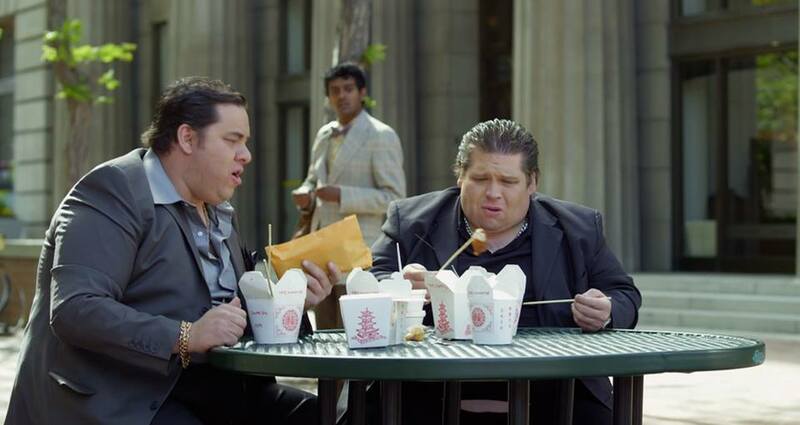 But as the missionaries and Roger and Larry continue to meet for discussions, both the mafia and the FBI have their sights set on Elders Fisher and Johnson. 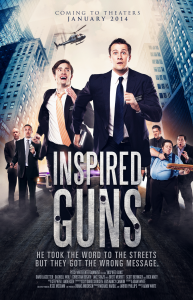 The mob thinks the missionaries are FBI; and the FBI believes the young men are hitmen on a mission—and both groups want the elders out of the picture. The Elders come to realize they must rely on each other to survive this case of mistaken identity.